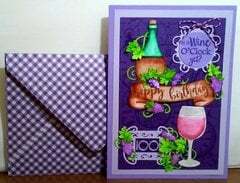 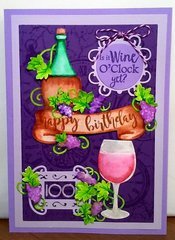 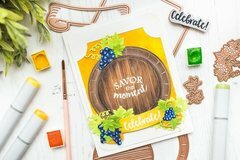 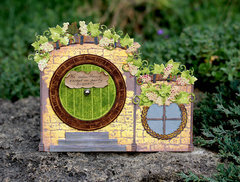 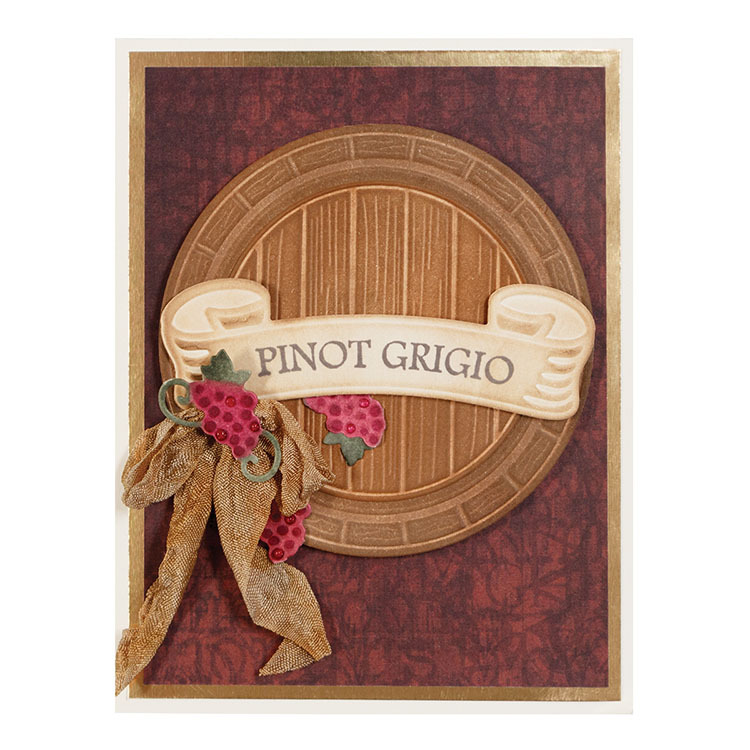 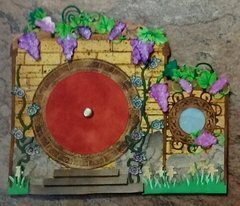 Transport yourself to Napa Valley or the Vineyards of France when you use the Wine Country Collection Barrel of Sentiments Die and Cling Mounted Stamp Set designed by Stacey Caron for Spellbinders. 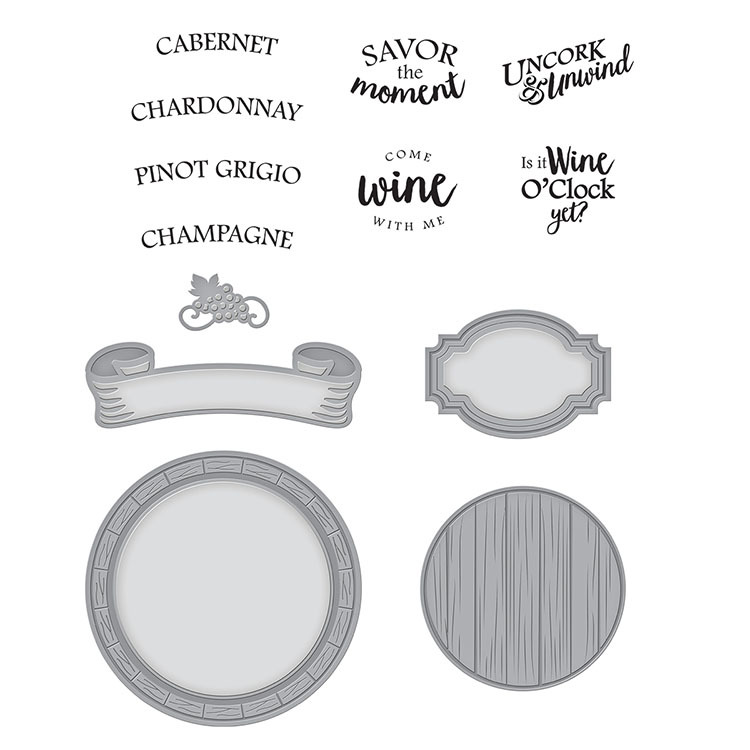 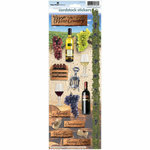 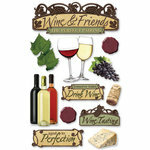 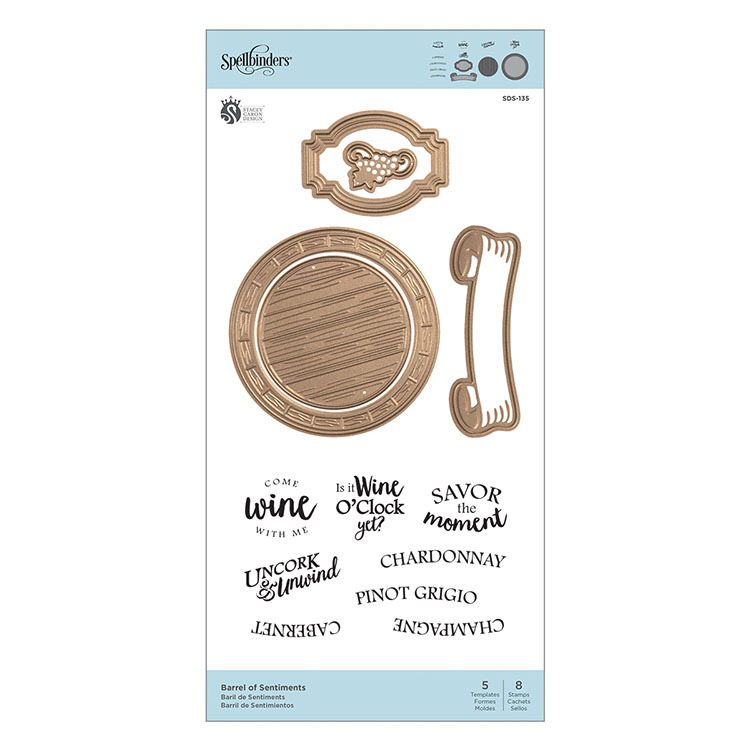 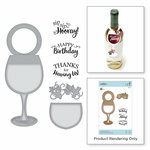 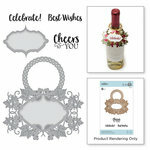 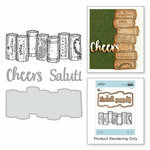 The package includes 8 wine related phrase stamps and 5 coordinating thin metal dies featuring two labels, two barrel labels and one grape accent measuring 1.1" x .7" to 3.5" x 3.5". 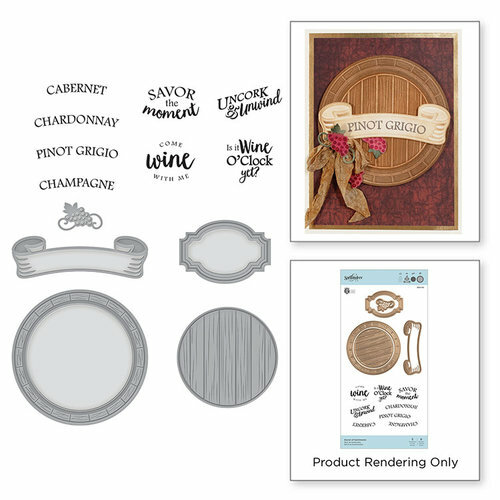 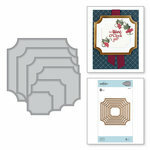 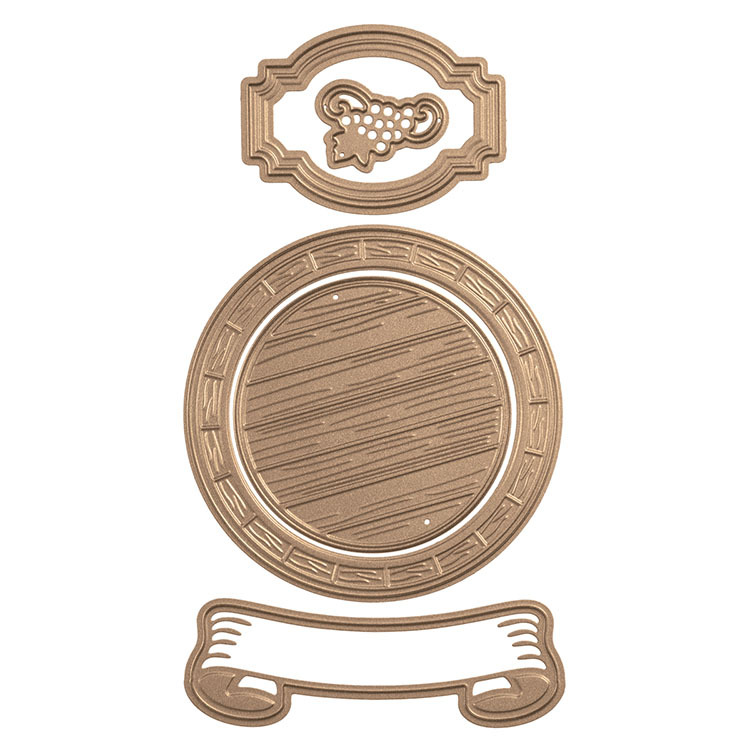 The dies can be used with most die cutting machines and the stamps can be used with your favorite acrylic block and inks each sold separately.